Sleep disorders cause considerable morbidity and distress in the aging population. By highlighting the clinical diagnosis and management of sleep disorders, this volume provides a valuable resource for all those involved in health care of older individuals. The changes in sleep patterns that occur during normal aging are described, followed by authoritative chapters on the presentation of various age-related sleep disorders. The book deals with the range of therapeutic measures available for managing these disorders and gives insight to potential areas of research that have emerged in the last few years, such as the study of circadian rhythms in later life, sleep patterns associated with co-morbidities and the use of quality-of-life measurement tools to determine sleep quality as we age. 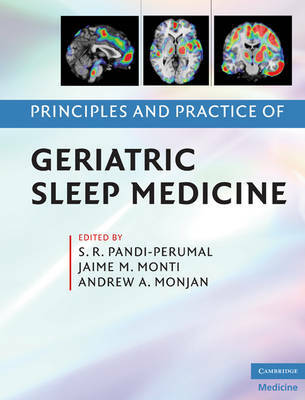 This volume is relevant to sleep disorders specialists, psychiatrists, geriatricians and gerontologists, and any professionals and researchers working in the interdisciplinary areas of sleep and aging.